Jihadist fighters defending the last dreg of the Islamic State group's "caliphate" Saturday were holed up in half a square kilometre of a village in eastern Syria. President Donald Trump had announced that the fall of the IS proto-state would be declared Saturday, but a Syrian commander said his US-backed forces slowed down their advance to protect civilians. The jihadists declared a "caliphate" in large parts of Syria and neighbouring Iraq in 2014, but have since lost all but a tiny patch of territory in eastern Syria near the Iraqi border. Hundreds of metres (yards) from the front line in the village of Baghouz, an AFP reporter heard artillery fire and two air strikes on the jihadist holdout. Huge craters had been blown out of the ground, and the road was lined with destroyed buildings and the skeletons of burnt-out cars. "IS is besieged in a neighbourhood that is estimated to be 700 metres long and 700 metres wide," said Syrian Democratic Forces (SDF) commander Jia Furat. "Baghouz is within our firing range but we are moving cautiously considering there are civilians still trapped there as human shields," said Furat, the overall commander for the operation. "In a very short time, not longer than a few days, we will officially announce the end of IS's existence," he told reporters at a nearby SDF base. 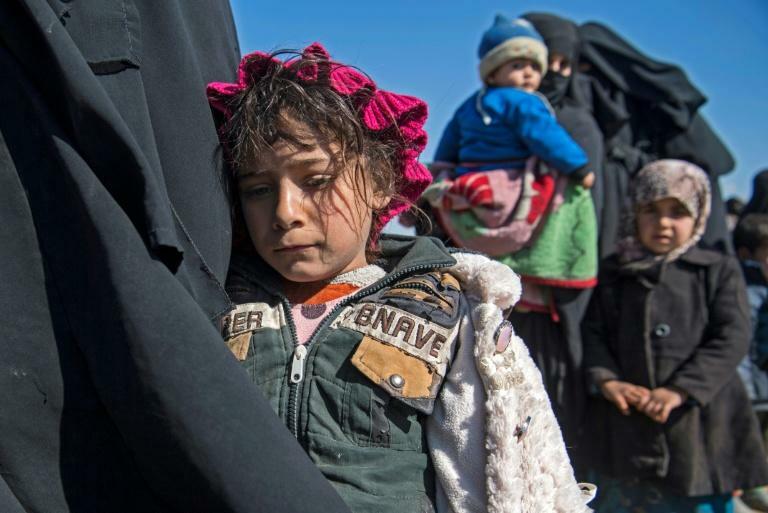 Thousands of people have flooded out of Baghouz over the past week -- mostly women and children related to IS fighters, but also suspected jihadists. An SDF spokesman said there were "still civilians inside in large numbers". "We weren't expecting this number... This is why it's been delayed," spokesman Adnan Afrin told AFP. Trump on Friday said announcements on the fall of the caliphate would be made "over the next 24 hours", but that deadline came and went. Earlier Saturday, US-led coalition spokesman Colonel Sean Ryan acknowledged that the timeline had slipped because of the presence of civilians. "There has been lapses as we continue to see hundreds of civilians still attempting to flee to safety," he said. "The area of Baghouz has many tunnels, which slows operations." The Kurdish-led SDF fighters are busy clearing improvised explosives from the area while staying on the lookout for any IS suicide bombers, he added. Human Rights Watch called on commanders not to try to accelerate the offensive to suit Trump's timetable. "The tempo of battle must not be dictated by political imperatives -- it must first of all protect civilians and possible hostages," HRW's director of counterterrorism Nadim Houry told AFP. The SDF said dozens of IS fighters had surrendered to its advancing forces. The Kurdish-Arab alliance has been closing in on the diehard jihadists since September. The speck of terrain in Baghouz is all that is left of IS territory that once spanned an area the size of the United Kingdom. It has taken years of devastating fighting by various forces across both Iraq and Syria to shatter the group's "caliphate". Trump's promise of a victory declaration came after he shocked allies and senior figures in his own administration with a December announcement ordering a full US troop withdrawal from Syria because IS had been "beaten". That plan, which prompted the resignation of then defence secretary Jim Mattis, is set to be accelerated following a victory announcement. Beyond Baghouz, IS still has thousands of fighters and sleeper cells scattered across several countries. US Vice President Mike Pence said Saturday: "The United States will continue to work with all our allies to hunt down the remnants of (IS) wherever and whenever they rear their ugly heads." A US withdrawal risks leaving Syria's Kurds exposed to a long-threatened attack by neighbouring Turkey, who views Kurdish fighters as "terrorists". Eight years into the conflict that has killed more than 360,000 people, President Bashar al-Assad's government controls nearly two-thirds of the country. But the northwestern region of Idlib held by a former affiliate of Al-Qaeda, as well as a major chunk of territory under SDF control remain out of its reach. 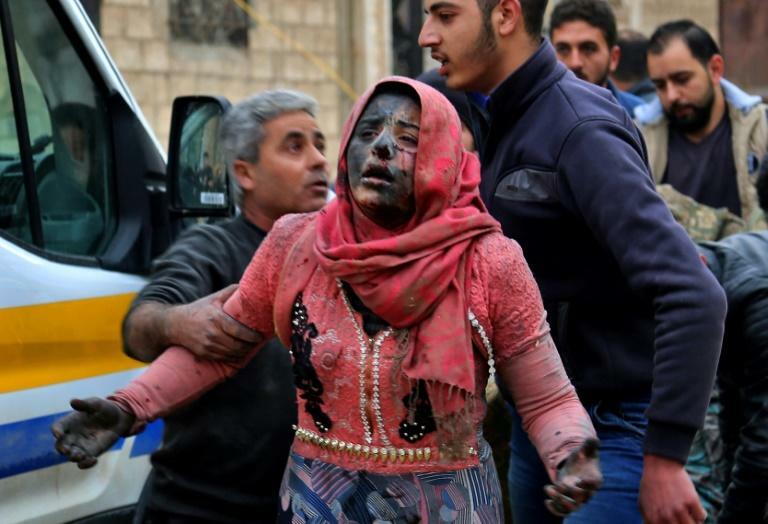 Regime shelling and rocket fire on Friday and Saturday killed 18 civilians including eight children in the Idlib region towns of Khan Sheikhun and Maaret al-Noman, the Syrian Observatory for Human Right said.